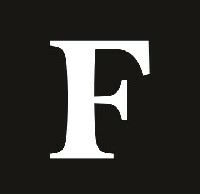 WASHINGTON, D.C. – June 13, 2012 – (RealEstateRama) — The list of U.S. housing markets showing measurable and sustained improvement now includes 80 metropolitan areas, according to the National Association of Home Builders/First American Improving Markets Index (IMI) for June, released today. Though down from the 100 markets shown as improving in May, the list includes 28 new entrants and at least one representative from 31 different states (including the District of Columbia). The index identifies metropolitan areas that have shown improvement from their respective troughs in housing permits, employment and house prices for at least six consecutive months. This month’s IMI showed some considerable shifting of markets on and off the list, with 52 metros holding on to their spots, 48 slipping from the list and 28 being added. Notable new entrants to the improving list in June include Tuscaloosa, Ala.; Grand Junction, Colo.; Fargo, N.D.; Knoxville, Tenn.; and Dallas. “Though today’s IMI reflects a decline in the number of improving markets from May, the list continues to show significant geographic diversity, with 31 states represented and roughly one quarter of all U.S. metros included,” said NAHB Chairman Barry Rutenberg, a home builder from Gainesville, Fla. The IMI is designed to track housing markets throughout the country that are showing signs of improving economic health. The index measures three sets of independent monthly data to get a mark on the top improving Metropolitan Statistical Areas. The three indicators that are analyzed are employment growth from the Bureau of Labor Statistics, house price appreciation from Freddie Mac and single-family housing permit growth from the U.S. Census Bureau. NAHB uses the latest available data from these sources to generate a list of improving markets. A metropolitan area must see improvement in all three areas for at least six months following their respective troughs before being included on the improving markets list. A complete list of all 80 metropolitan areas currently on the IMI, and separate breakouts of metros newly added to or dropped from the list in June, is available at www.nahb.org/imi. The NAHB/First American Improving Markets Index (IMI) is usually released on the fourth business day of each month at 10:00 a.m., ET, unless that day falls on a Friday – in which case, the index is released on the following Monday. However, June’s IMI release was late due to a delay in the release of recent government house price data. 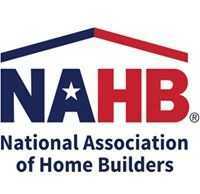 A full calendar of future release dates can be found at www.nahb.org/imi.